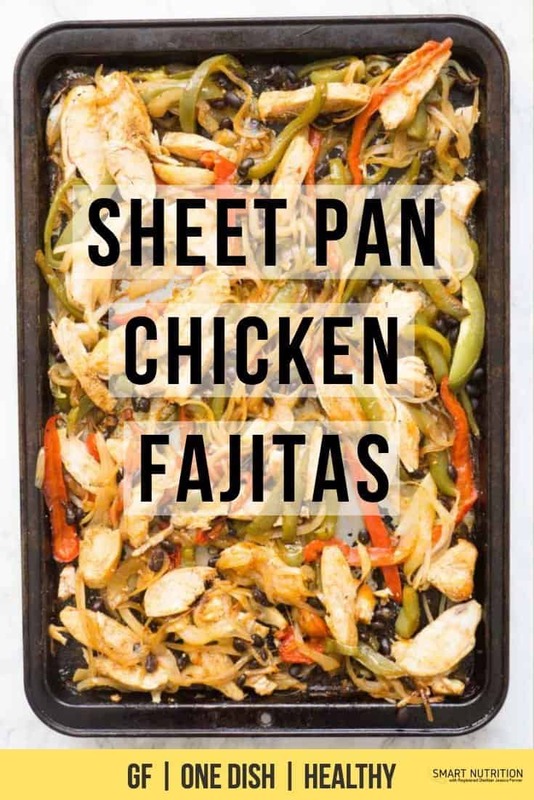 Very little prep work & hands-on time go into making these easy sheet pan chicken fajitas! Includes instructions to use either fresh or frozen chicken breasts. They are so stinking easy and always turn out so well! A lot of dishes where you would have originally thought to cook in a frying pan such as fajitas, perogies, or even gnocchi, you can just throw on a sheet pan, toss in the oven, come back half an hour later, and enjoy dinner! You literally no longer have to slave over a hot stove to get a tasty, homemade meal on the table. Instead, you can use that time to go play hide and seek with your kids, read a book, or even make this delicious chocolate peanut butter pudding. Now that’s something I’ll slave over a hot stove for any day! Who doesn’t love freeing up time for other things? Speaking of freeing up time…. I see the amazing work other people are doing in social work or ministry and I don’t feel my work measures up, so to speak. But then I remember how much mind space and energy that a lot of people are using up on obsessive thoughts about food and I realized that my work has a domino-like effect. When I help people dial down thoughts of food back to an appropriate amount, this frees up their mental energy and time to do the work THEY are passionate about! p.s. If you’re tired of feeling bad about the food you eat, check out the help I offer here! See those small black things in the right photo of the three sheet pans? Yup, those are black beans. Adding beans, lentils, chickpeas, etc is my favourite way to reduce our family’s meat intake. Eating more plant-based proteins is associated with increased health outcomes and more sustainability for this beloved planet we call home. If you make this recipe, please let me know! Leave a comment, rate it, or snap a photo and tag it with #smartnutritionrecipes on Instagram! I’d love to see your creations! Stir the flavour maker ingredients together and, using a pastry brush, brush onto a baking sheet. Slice the bell peppers and onions into strips. Arrange the bell peppers, onions, and chicken breasts on a single layer on the baking sheet. Stir and bake another 10 minutes or until the internal temperature of the chicken breasts reaches 180 degrees Fahrenheit. Add in the black beans and bake another 2 minutes. Remove and squeeze the lime over the whole pan. Slice the chicken into strips. Serve in tortilla wraps or over rice with optional cheddar cheese and guacamole or avocado cream sauce. Place the frozen chicken breasts on a rimmed baking sheet. Stir the flavour maker ingredients together. 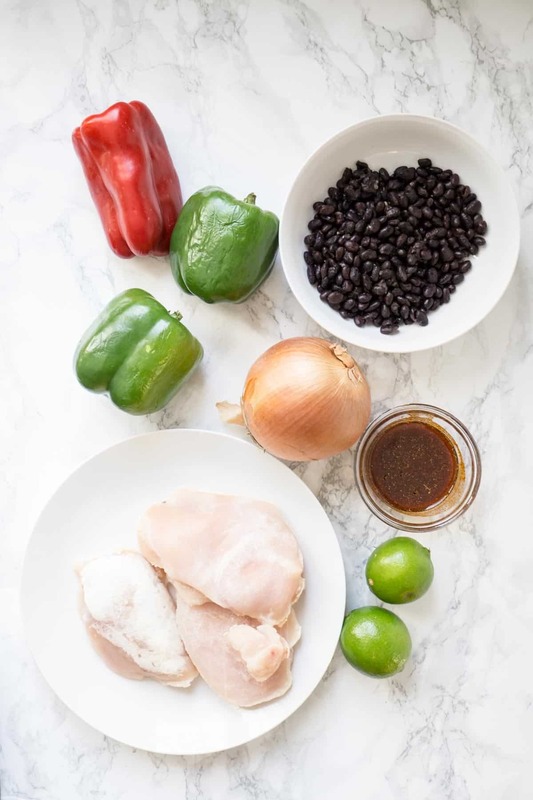 Using a pastry brush, brush the fajita oil onto the top of the chicken breasts. Flip and place oil side down. Meanwhile, slice the bell peppers and onions into strips. Add the bell peppers and onions to the baking pan. Arrange into a single layer. 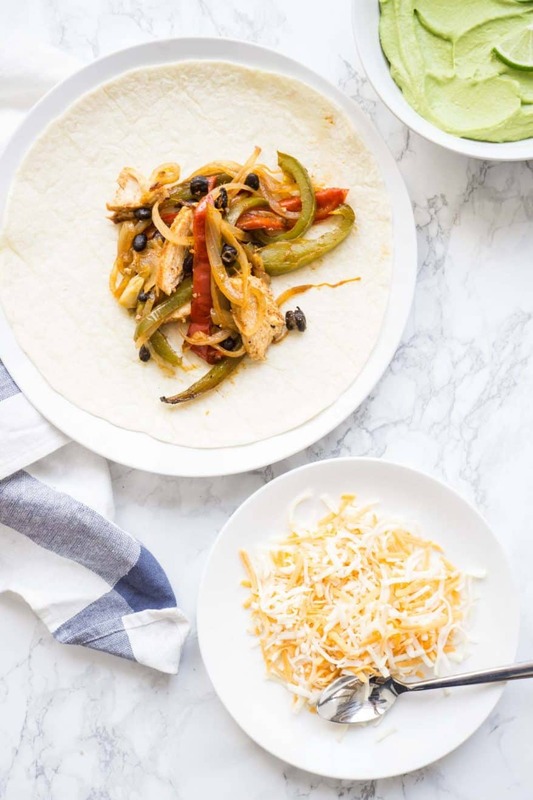 The fajita mix alone will give you 1.5 serves of veggies for every serving.